Everyone who’s ever had to come out knows that it’s never over. Yes, some coming outs will only happen once – telling your parents or your best friends, maybe – but some coming outs happen as often as every day: to coworkers, to new people you meet, to just about anyone. I had one of those once-in-a-lifetime coming outs exactly a year ago on National Coming Out Day. After sharing my truth with most of my family and friends, I decided to take my coming out, put it through the prism of storytelling and create a very public work of activism. It was only natural that I did this within the context of the Boy Scouts of America, an organization that has and continues to shape my identity in countless ways. I banded together with three close queer friends in Scouting. We crafted a series of stories that cracked open a longstanding silence about what it was actually like, beyond the policies and politics, to be queer in Scouting. You can read my story from that series here. What I want to do now is talk about the year that has followed – a year that transformed me into a confident, queer man in so many ways. The day we posted our stories was completely overwhelming. I have never received such an outpouring of love in my entire life. Facebook comments, personal messages, emails and phone calls incessantly pinged my phone, all with the same sentiment: Thank you. I’m proud of you. I’m here for you. I re-read some of those messages before writing this, and I couldn’t help myself from tearing up. It was an affirmation of my worth, my story and my identity. But it was also an affirmation of the dire need for these stories to be told, and for the youth in the Boy Scouts of America to have queer stories to relate to. I don’t mean to say that my story single-handedly solved anything. But I’ve had many Scouts, who aren’t yet out, tell me in confidence that my story made a difference for them, that it showed them a path forward, that it gave them hope. I can’t overstate how powerful that has been for me. In the course of a couple years, I’ve gone from being totally insecure about my queer identity within Scouting, to being somewhat of a national role model and example that shows other queer Scouts: there is a way to be out, successful and happy in this organization all at once. At the same time that I was reveling in the response from the Scouting community, however, I was struggling with the response from my own family. I had previously come out to them, but publishing my story took everything to a new level. I wasn’t just queer now – I was very publicly and loudly queer. And I realized by becoming so, and assuming my family would be 100 percent okay with it immediately, I was asking a lot of them. And so there was a long stretch of this year that wasn’t easy. I struggled to reconcile the embrace of the Scouting community with the initial agitation of my family. I leaned on friends in the meantime, and engaged with open mic storytelling as a way to own my story as it unfolded. 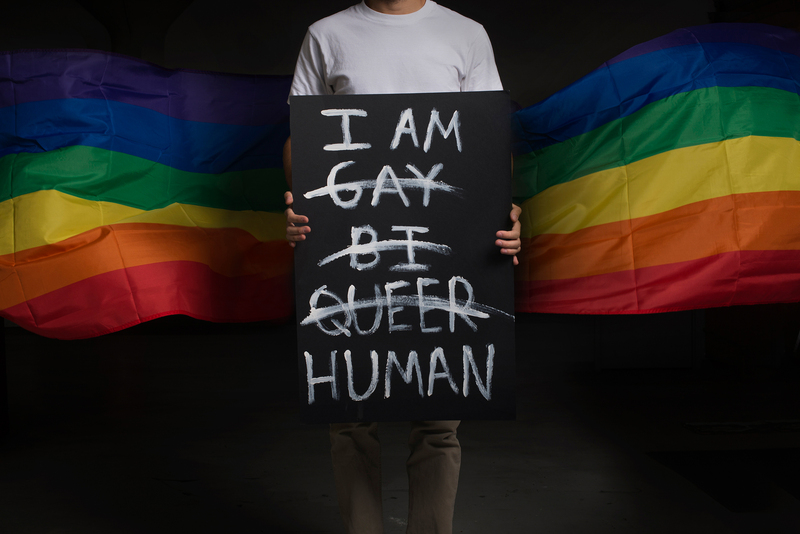 I learned a lot about myself and gained more confidence in my autonomy as a queer person. But then something amazing happened. When I finally broke a months-long silence around this topic, about how my parents made me feel in the wake of my public coming out, we almost immediately reconciled. I’m not sure if it was just a matter of time and distance that helped, but we landed on the same page in a matter of minutes, and I felt a huge weight lifted off my chest. A couple of months ago, my parents joined me at a Boy Scout conference in Indiana. I was attending, and invited them too, because I was receiving a national service award. Formally, it was a recognition for my leadership on a national communications team. But with all that’s happened this year, this recognition meant so much more to me. Not only did the Boy Scouts decide to bestow me with one of their highest honors, but they did so in a year when I became an openly queer Scouter who undoubtedly ruffled a lot of feathers at the national level. Knowing this, I went into the conference brimming with confidence and pride. I embraced the love of my Scouting friends. I engaged openly in conversations about queerness without much of a second thought. I let my true self show to everyone around me. And the night before I would be recognized for my award, I affixed a small rainbow patch to the front of my uniform shirt. So the next day when I walked on stage in front of my parents and 8,000 Boy Scouts from across the nation, with my subtle show of queer pride, I know that in a small way my year had come full circle.